Earn a master’s degree in rehabilitation technology from a program accredited by the Commission on Accreditation of Allied Health Education Programs (CAAHEP). 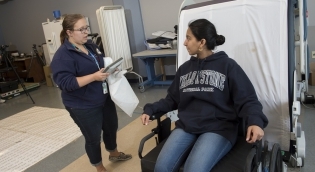 The Master of Science program in Rehabilitation Technology (RT) is focused on gaining a technological understanding of scientific principles and a balanced exposure to clinical rehabilitation. 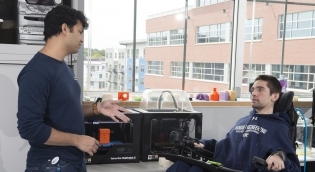 Students in the program conduct rehabilitation technology and engineering assessment, design assistive devices, participate in clinics and rounds, and work with consumer groups. The program is designed to prepare graduates to assume professional responsibilities in the field of assistive technology – as rehabilitation technology suppliers, service providers and consultants, for example -- and to assist students in preparing for the RESNA Assistive Technology Professional (ATP) and Seating and Mobility Specialist (SMS) credentials. Learn about our Rehabilitation Technology program course options and its clinical component. Comprising 44 credits that can be done either full or part time, this Master of Science program covers basic science, engineering principles, assistive technology, pathology, policy and consumer advocacy. In order to apply to the Rehabilitation Technology program, admission requirements include a Bachelor's degree and a demonstrated knowledge of rehabilitation science and technology through volunteer or work experience, in addition to several prerequisite courses and a minimum GPA of 3.0. View the plan of study options within the RT program - students may either choose the one-year academic track or the two-year research track. Rehab Technologists work in a wide range of areas to impove mobility and accessibility. 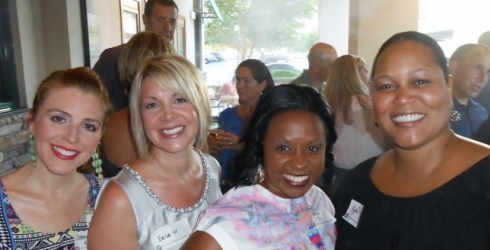 Find out how our alumni are working to remove barriers across the globe. Rehab Technology is a unique graduate program offering exciting opportunities to study with leading researchers and experts in the field of assistive technology. Here are the answers to our most commonly asked questions. Students who would like to engage in a variety of educational, clinical, and research training activities in rehabilitation engineering and assistive technology have the opportunity to gain practical experience through the Human Engineering Research Laboratories Undergraduate and Summer Intern Programs. 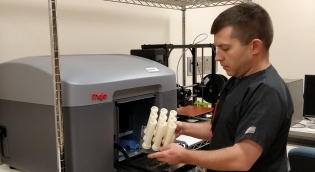 Engineering and clinical opportunities are available in many research areas related to the development and evaluation of new technologies and procedures to improve the mobility and quality of life for individuals with disabilities. 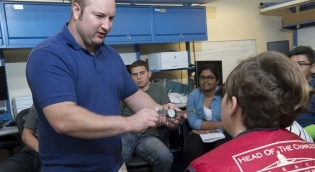 The Department of Rehabilitation Science and Technology offers the ELeVATE, AIM, and REV-T programs to provide veterans and service members in transition with academic and vocational training opportunities. 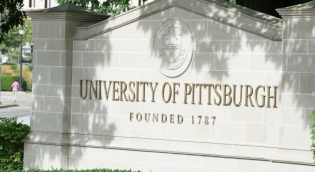 The University of Pittsburgh Rehabilitation Technology Program is accredited by the Commission on Accreditation of Allied Health Education Programs (CAAHEP) upon the recommendations of the Committee on Accreditation for Rehabilitation Engineering and Assistive Technology Education (CoA-RATE). 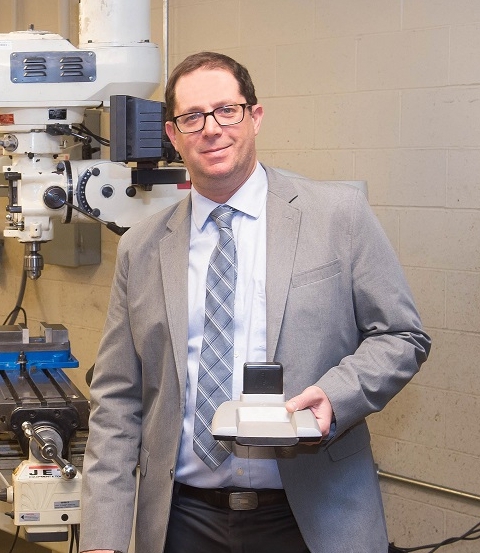 Associate Professor Jonathan Pearlman is now chair of the Department of Rehabilitation Science and Technology and will oversee the Prosthetics & Orthotics and Rehabilitation Technology programs. Read more. 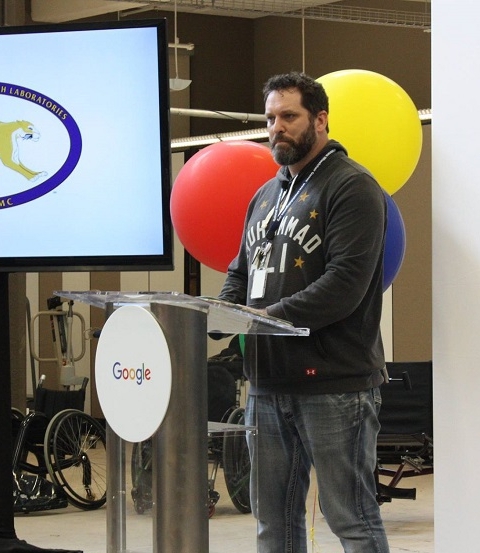 Google teamed up with the Human Engineering Research Laboratories to honor SHRS researcher, HERL engineer and veteran Matt Landis at an event spotlighting his "Search On" feature video.